Smith's Reef is a popular glass bottom boat cruise destination. 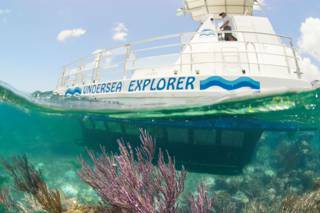 For those that don’t want to get their toes wet, a glass-bottom or semi-submarine boat cruise can be the perfect way to see the vibrant reefs and fascinating ocean life of the Turks and Caicos. Snorkelling, scuba diving, and snuba are not always suitable for younger children, so a glass bottom boat adventures can be the best way for kids and those who are not comfortable in the water to experience the reefs and marine wildlife of the Turks and Caicos. On the island of Providenciales, there are several tour companies that operate some form of glass bottom boat or semi-submarine. For the best experience, it’s best to understand the difference between the vessels and tours, as the underwater view and sightings can vary quite a bit. The most immersive experience is had with a semi-submarine, which features a partially submerged hull with expansive and wrap-around windows. Passengers are able to sit in the hull (often in air conditioning! ), and are essentially under the surface of the water. A semi-submarine allows for much better view at sea life over a simple glass-bottom boat, and the tour route is often carefully tailored to provide the best possible reef and fish views. A semi-submarine tour typically doesn’t include any snorkelling, or visits to the spectacular beaches and cays of the Turks and Caicos. 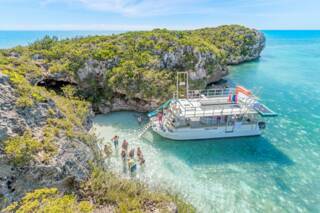 Caicos Tour’s Undersea Explorer is the top semi-submarine tour company in the Turks and Caicos, and operates out of Turtle Cove in central Providenciales. Their excursions have the added attraction of unique mermaid encounters! Several charter boats in the Turks and Caicos feature some type of “glass bottom” window or viewing port. The excursions that use these vessels typically combine many popular tour activities, including beach BBQs, snorkelling, and visits to secluded coasts, and the glass-bottom features is simply another amenity on the trip. Other cruises provided little more than a flat pane or two in the hull. We’re definitely not advising against these options as additional snorkelling or secluded beach visits are usually included, but be aware of what your selected excursion offers. Semi-submarine cruises typically visit the interior bay reefs of Smith's Reef and Grace Bay. These shallow water sites offer an interesting ambiance that’s a little different to the deep blue water and spur and grove coral formations of the barrier reef. The bay reefs are usually distinct systems that rise out of the surrounding sandy ocean floor or seagrass beds of the sheltered Grace Bay. Large wildlife sightings include hawksbill turtles, green turtles, stingrays, eagle rays and the occasional nurse shark or Caribbean reef shark. It’s common to spot many varieties of colourful reef fish, including parrotfish, angelfish, wrasse, jacks, French grunts, triggerfish, blue tangs, goatfish, and butterflyfish, to just name some of the possibilities. 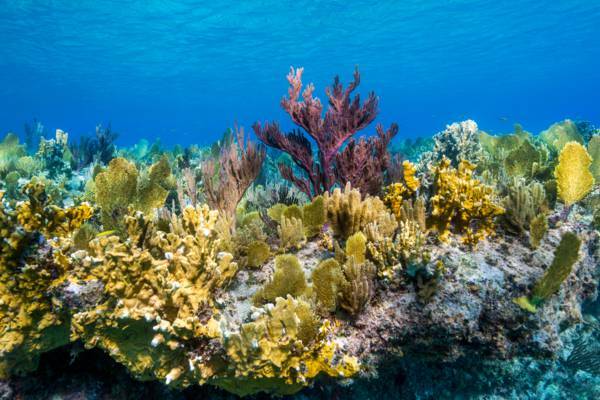 On tours that visit the Caicos barrier reef or the offshore edge of the Princess Alexandra National Park, it’s possible to see spur and groove reef formations where the sandy Grace Bay blends into the reef and wall. Off the wall, the breath-taking electric blue of the deep is another unforgettable sight. Caicos Tours offers semi-submarine tours of the reefs off Providenciales. Their Turtle Reef Adventure takes you out to the reefs where you'll see a wide range of fish, and each person has their personal viewing window. The Mermaid Adventure incorporates the above, and you'll also get to see a real live mermaid swimming around the boat. It's a unique way to see the aquatic life of Providenciales. Ocean Outback Adventures offers cruises to the scenic West Harbour Bluff area of Providenciales. Unlimited drinks and a BBQ lunch are included. Last reviewed by an editor on 11 January 2019.